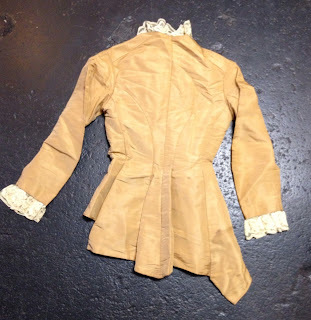 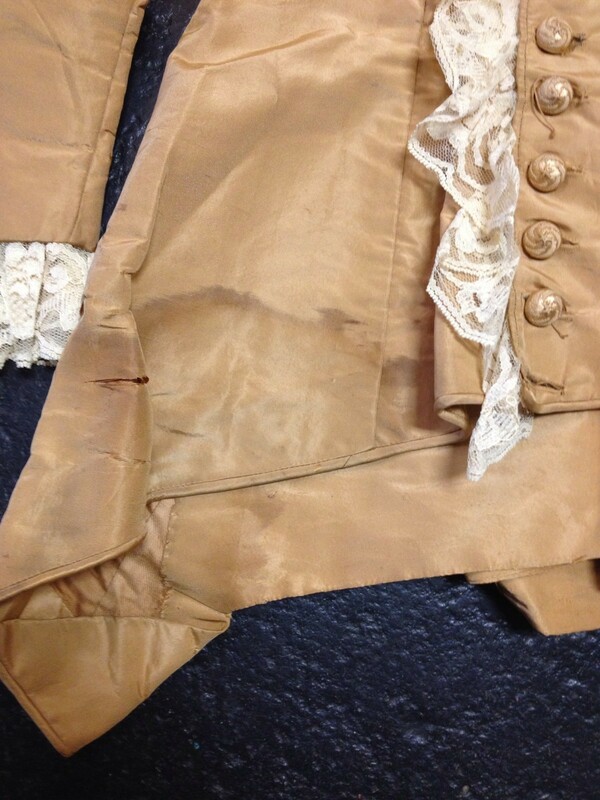 Beautiful jacket but has some flaws--water stain on hemline on, shattering on the shoulder. 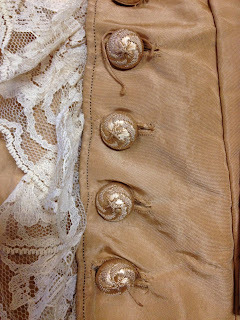 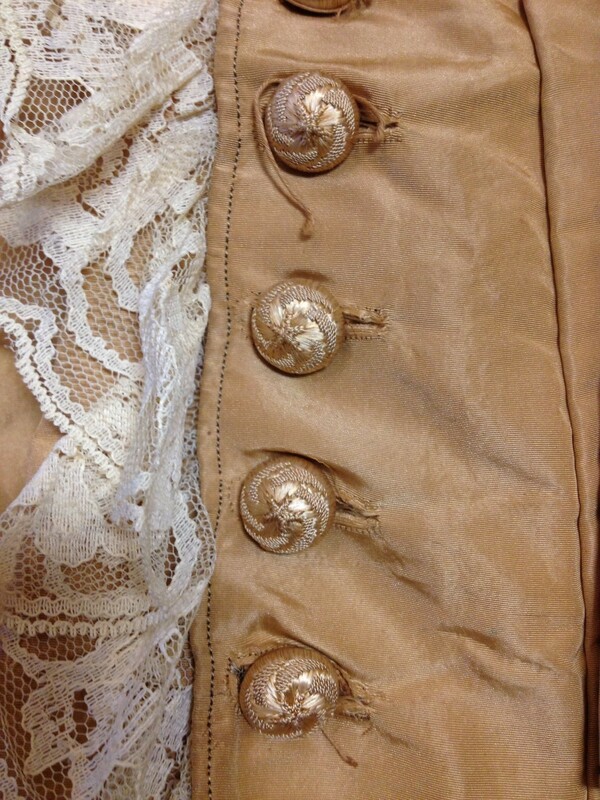 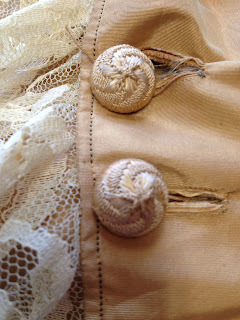 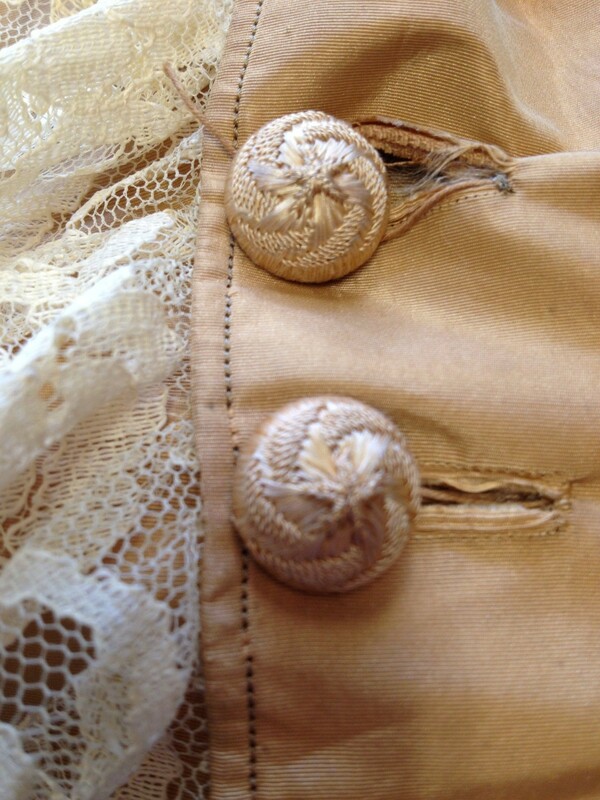 Beautiful buttons and lace--item is sold as is for study or display. OMG! This is so lovely! 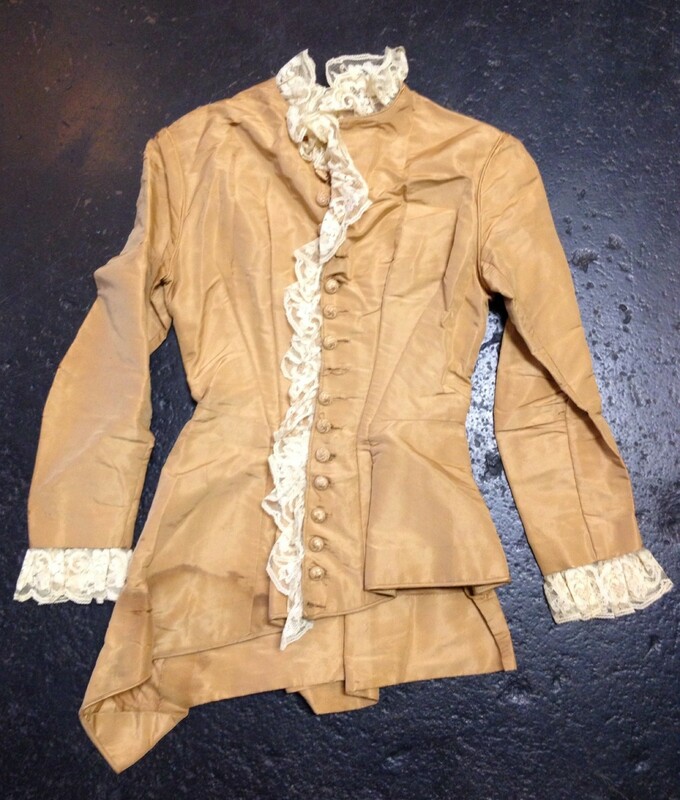 Very much from the Natural Form era and look at that styling!